Born and raised in Athens, Stelios started sailing when he was 7 years old and never stopped since. A fully certified skipper and sailing instructor, Stelios is a member of the Greek Olympic Sailing/Yachting Team and has won several national and international regattas. He was a member of the Greek Team for the America’s Cup and he also sails in offshore racing, having won the National Championship three times in a row. Stelios has extensive experience as a professional skipper and instructor in the Greek sailing and yachting industry, and during the off season he has been sailing the Olympic category 49er high performance sailing dinghy, training for Tokyo 2020. He studied computer science, speaks English and Czech, and looks forward to welcoming you on board. Maria was born and raised in Athens, and has been an avid sailor for more than 10 years. She has experience as a cook/hostess onboard sailing catamarans and has made the leap this year to Achilleas. Maria loves cooking and enjoys discovering new foods & variations. She will surprise and delight you with her Greek & Mediterranean menus. She is organized, flexible and has a pleasant personality. Maria studied Finance in the UK and speaks fluent English. Kostas studied mechanical engineering and after graduating he knew that his true passion was the sea! So he turned his back to the land and spends as much time as possible on the sea. He has been the sailor on several smaller private yachts and joined Achilleas in January 2018. Kostas speaks Greek and basic English. 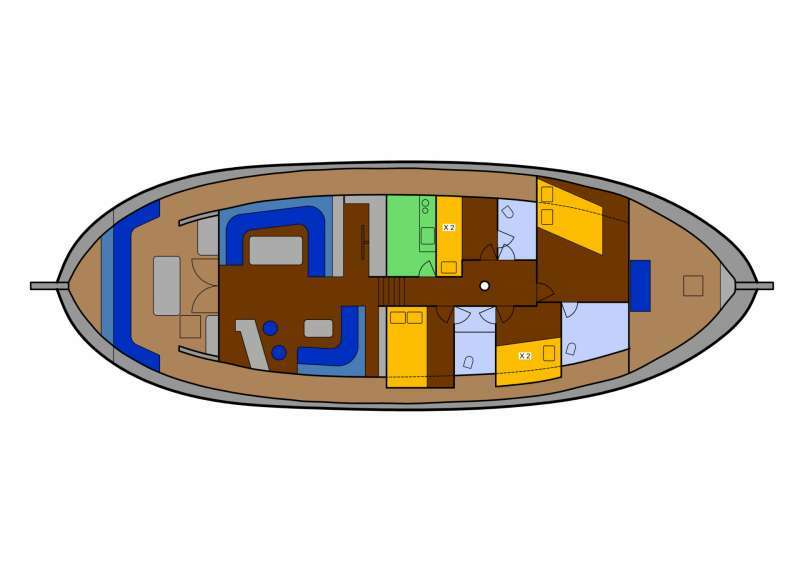 Other Entertain: FULLY EQUIPPED GALLEY : Electric stove, electric oven, microwave oven, refrigerator, 1 deep freezer/refrigerator, ice cube maker, Nespresso coffee maker and various other kitchen electronics appliances.